Tuesday, the Chicago Blackhawks announced they will visit the White House in celebration of their Stanley Cup Championship. 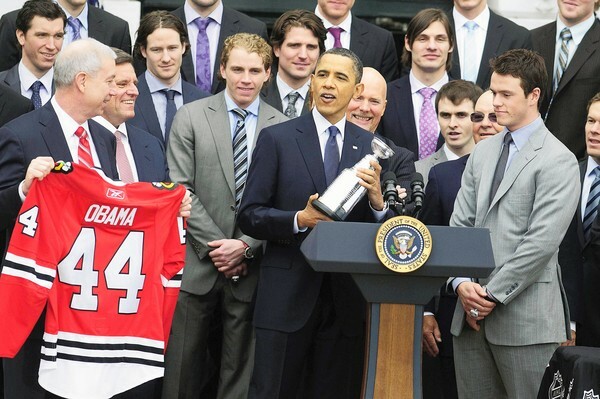 WASHINGTON, DC – On Monday, November 4, President Obama will welcome the five-time Stanley Cup Champion Chicago Blackhawks to the White House to honor the team and their 2013 Stanley Cup victory. While in Washington, the team will also visit the Walter Reed National Military Medical Center to thank our veterans, wounded warriors, and their families for their courage and service to our country.